Don’t just read! Laugh, doodle and twist/fold/tear the pages to tell the story of YOU: the world’s greatest spy! Guess what: you are no ordinary kid. This is no ordinary book. And when YOU and THIS BOOK get together, things get extraordinary! Did you know that you are an amazing spy? Well – you are! 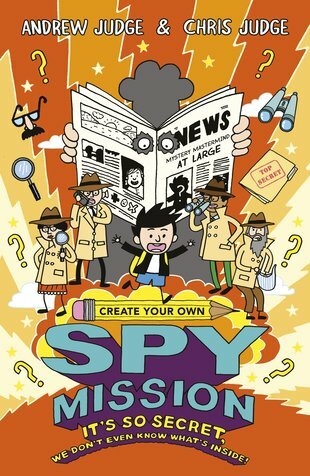 And this book is your own cool mission. It’s not just a story to read. It’s a story that you make: doodling in pictures, scribbling in ideas, folding the pages and more. No thrill is too thrilling! No danger is too deadly! No parachute is… BAD. Uh-oh!